Part of my 2009 flag proposal series. 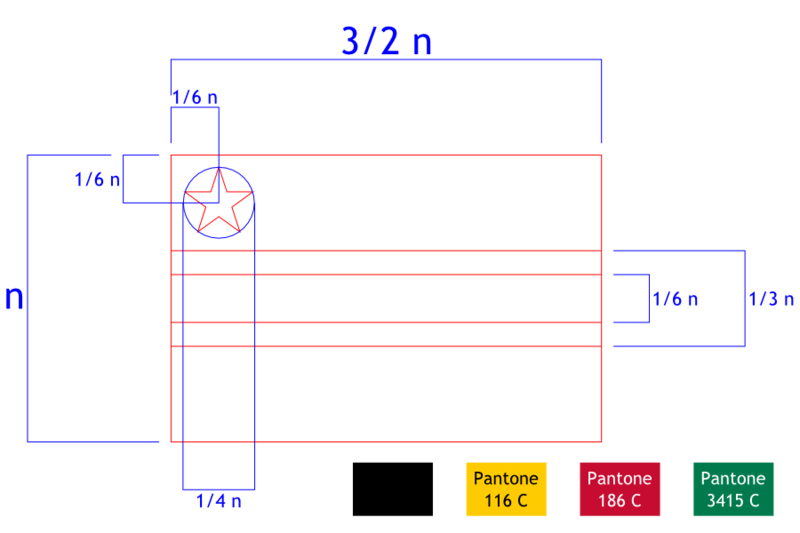 SVG files of the flag and its construction sheet are available on request. Note: My choice of design does not reflect my political views. I think the current flag of the East African Community is too cluttered. If/when it federates, it should have something more visually appealing, distinct and memorable. Therefore, here is my proposal. 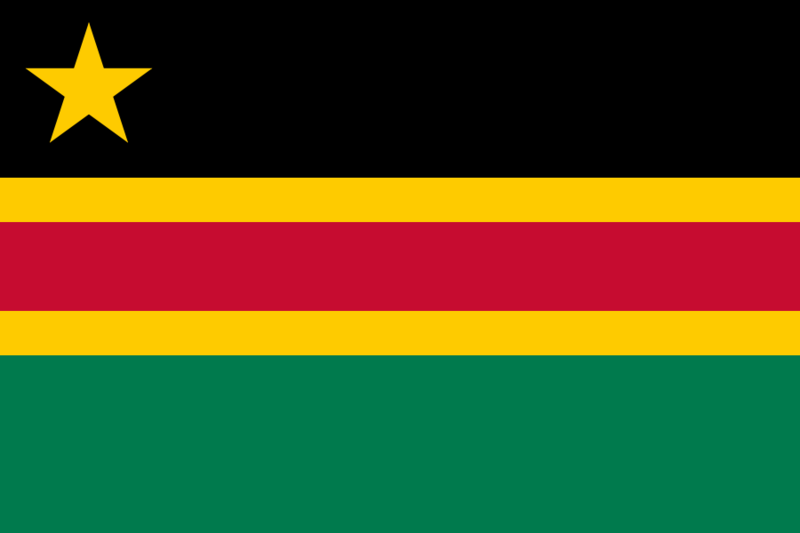 Flag proposal for the East African Federation I made in 2009. First off, this design is unique enough to be distinguishable, yet simple enough to be remembered by a child. The black represents the people and the dark parts of the past. The gold represents the mineral wealth of the earth and the sun, and in turn warmth and vitality. The red represents the blood that we all share and that has been shed in the past. The green represents the natural environment, agriculture, the land and hope. These colours are recognisably African. The star represents the sun, a bright future and the federation as a whole, with the number of points representing the number of states [note: There were only five members at the time I made this design]. It is in the top left corner because that is where the most important parts of a flag should go. When it wears out, the left hand side will be the last to remain. When it is not flying, the top left corner is the part of the flag that is most visible. When it is flying, the eye will be naturally attracted to that region as a starting point since the writing system that we use goes from left to right and top to bottom.